How to apply foundation so it looks flawless and the mistake some make. LEIGH CAMPBELL: "The most common foundation mistake I see women making." I used to go to the gym. Like I was a proper exerciser – I’m talking four times a week. And while my gyms and the type of training and classes changed over the years, I always went first thing in the morning before work. I haven’t exercised properly in a few years and sure, I could go into why here, but this would then quickly descend into a therapy session when I know you’re all here to get to the bit about foundation. We take a peak through Leigh Campbell’s beauty bag. Come along for the ride. Training early and then getting ready in the gym bathroom before work meant I got to observe many different women and their grooming habits. I was kinda like the beauty version of David Attenborough. And what I noticed about other women’s makeup application while I was doing mine (I swear I wasn’t perving or stalking, you kinda just observe things in your peripheral) was how they put on their foundation. Quite a few women apply liquid foundation in the same way they apply moisturiser. So they’ll squirt out a few pumps, rub it between their fingers and then swipe it over their face somewhat haphazardly and rub it in. 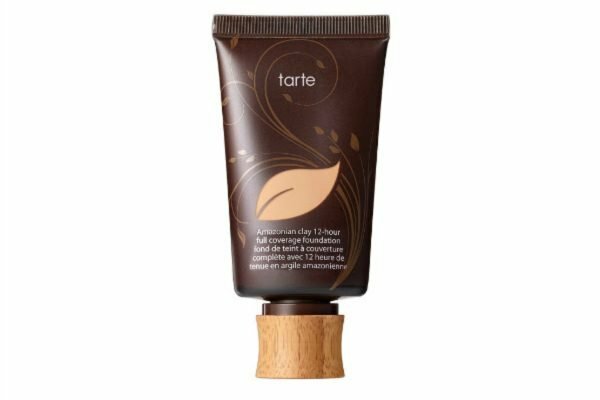 While on the topic of foundation, here’s one I used to love and forgot about. We recently rekindled the romance. This is not technically wrong, and please know, I am not here to shame anyone. If applying eyeshadow to the backs of your knees makes you happy, go for you life. 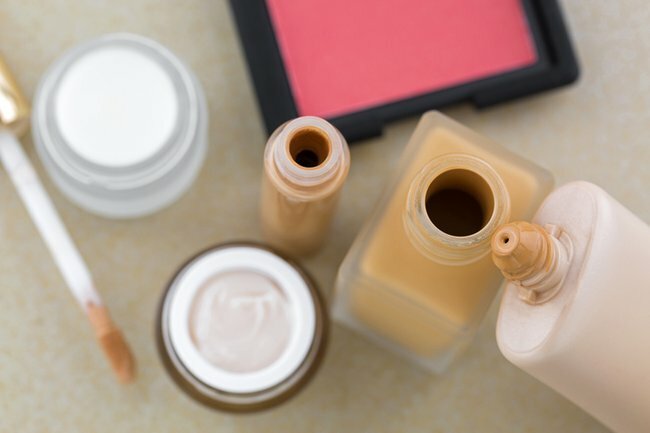 But if you are applying your foundation as above, the below tips might help you save some product and make your complexion look a little more flawless. - Moisturiser is designed to be rubbed in and absorbed by the skin. Foundation is not, it is designed to sit on top. - Whether you use a brush, sponge or your fingers (I am pro fingers), start by applying a dot to your nose and a dot to each cheek’s apple. Then, blend into the crevices of the nose and outwards from the cheeks. It makes sense to concentrate on these areas first as they are commonly where the most redness and discolouration in the face occurs. - After that, take a look at your face. Your complexion should be much more even. From there, you should be able to use much smaller amounts of foundation to cover up any other specific spots of concern (for me, it’s hyperpigmentation around my temples). - By using more product at the centre of the face and working outwards to a very sheer coverage (or none at all) at the outer edges of the face and the hairline, you’ll notice your base will look much more natural and you’ll avoid that mask look or line around the jaw. - After that, call in the big guns (AKA concealer) for any extra help you need. For me that’s under the eyes and one really dark spot of pigmentation on the jaw. 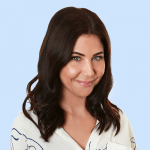 For a masterclass on how to make your concealer work even harder, listen to Leigh Campbell and Kelly McCarren break down the difference between actual concealer and under-eye corrector on You Beauty. Has this tip made you reconsider how you apply your foundation? What&apos;s you favourite beauty hack? Tell us in a comment below.